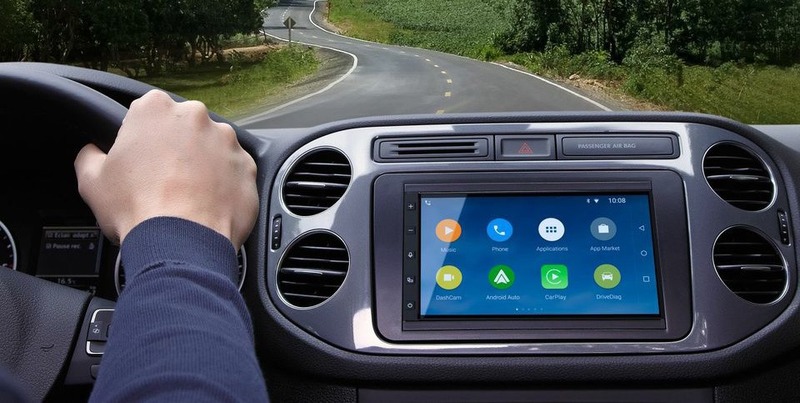 Back in January at CES 2015, French tech company Parrot announced an Android Auto head unit to end all Android Auto head units. At least, that's what it looked like. Parrot never announced pricing or availability for the RNB6 (catchy name! ), and all news about it pretty much fell to the wayside post-show. To be fair, this happens frequently with Parrot products - the company uses trade shows to gauge interest in what are, essentially, working prototypes, and then decides whether or not they're worth making. 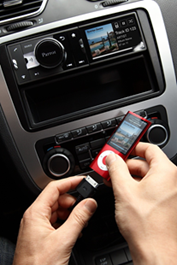 The RNB6, Parrot has concluded, is not the sort of thing they want to sell to consumers. Parrot usually arrives at CES with a swarm of consumer-oriented drone aircraft, but this year it's also showing off the RNB6. What is the RNB6? It's an in-dash head unit running its own version of Android 5.0, but it also has support for Android Auto and Apple CarPlay. 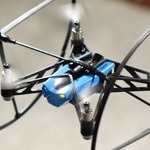 The AR Drone is a quadcopter that's surprisingly fast, maneuverable, and easy-to-fly with the simple remote control app. You'll need an Android or iOS device to pilot it - there's no hardware controller included. 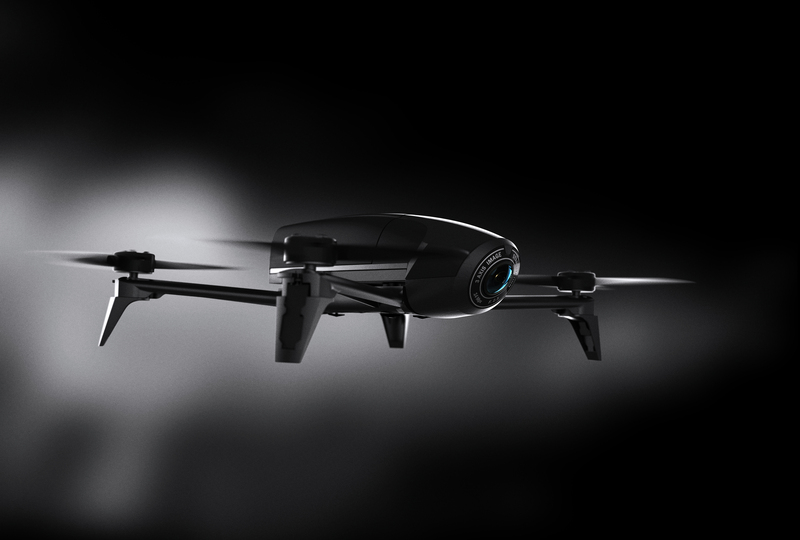 Parrot's AR.Drone has changed only slightly in its short history, but today the company has expanded the line in a big way. They're showing off two new models at the pre-CES Unveiled event: the smaller and impressively flexible AR.Drone Mini and the ground-only roller/jumper Sumo. To see what makes each version special, check out the promotional video below. The Mini is indeed a smaller take on Parrot's popular AR - the housing itself fits in the palm of your hand. 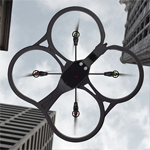 That smaller size comes with the removal of the drone's recording and viewfinder camera, but as a consolation, it can carry a set of removable wheels that let it roll along the ground, walls, and even ceilings. One of the most notable improvements is that the drone's onboard camera can now beam 720p HD video back to your device. 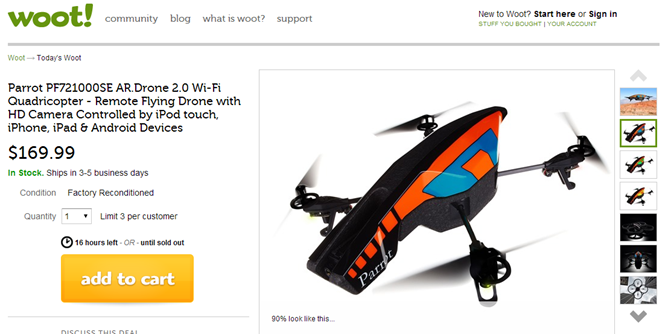 Parrot's new control app also makes it easy to record and share flight video. This app, by the way, supports iOS and a wide, wide range of Android devices including phones and tablets. 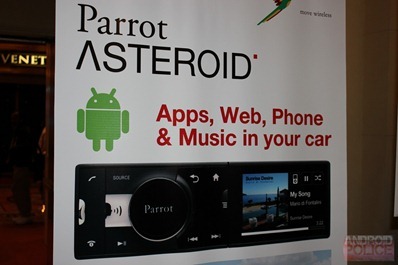 We've been fascinated with the Parrot ASTEROID ever since we first saw it at CES, but as the company has missed its Q2 deadline and let out nary a peep about the Android-powered car unit in the last seven months, we were starting to get concerned about our chances of seeing it hit the market. Fortunately, Parrot quenched our thirst for further information this morning - the AR.Drone manufacturer published an official press release, and the ASTEROID's availability is a mystery no more. The car unit will be available this October for $349, and will pack a 3.2" TFT color (non-touch) screen, 4 USB ports, a jack cable, RCA, and of course a customized version of Android. 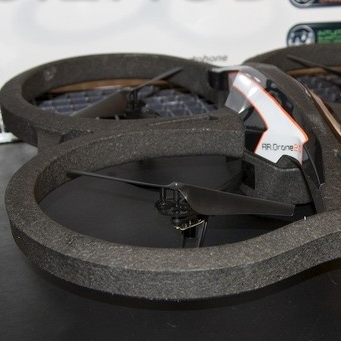 Last night at the CES Unveiled preview event, I got a chance to see a new product made by Parrot, called Asteroid. Asteroid is a voice-activated, Android-powered car deck that replaces your existing single DIN car stereo. It has a small non-touch 3.2" color screen, runs on a specialized version of Android (the presenter didn't seem to know which Android version it was based on exactly), is capable of running custom Android apps (SDK for which is coming out later), and can accept a variety of inputs, such as your iPhone, iPod, USB storage, SD card (the left half detaches to reveal the SD slot), Bluetooth, 3.5mm jack, 3G and GPS dongles, and AM/FM/RDS.